This entry was posted in and tagged AYUDAS Y SUBVENCIONES on 30 abril, 2009 by Granada Emprende. This entry was posted in and tagged ACTIVIDADES on 30 abril, 2009 by Granada Emprende. This entry was posted in and tagged ACTIVIDADES EMPRENDEDORES on 28 abril, 2009 by Granada Emprende. 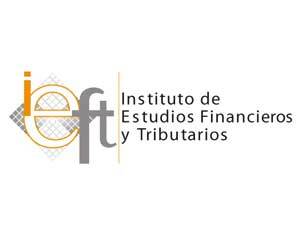 This entry was posted in and tagged FINANCIACIÓN on 28 abril, 2009 by Granada Emprende. This entry was posted in and tagged ACTIVIDADES on 27 abril, 2009 by Granada Emprende. This entry was posted in and tagged COMERCIO EXTERIOR FINANCIACIÓN NOVEDADES LEGISLATIVAS on 27 abril, 2009 by Granada Emprende. This entry was posted in and tagged NOVEDADES DEL BLOG on 25 abril, 2009 by Granada Emprende. Ya podéis dejar vuestros mensajes con comentarios sobre este blog en en Libro de Visitas ubicado en la columna lateral. This entry was posted in and tagged EMPRENDEDORES PREMIOS on 25 abril, 2009 by Granada Emprende. This entry was posted in and tagged ACTIVIDADES on 24 abril, 2009 by Granada Emprende. This entry was posted in and tagged ACTIVIDADES COMERCIO on 24 abril, 2009 by Granada Emprende.